This book is based on the scientific methods of the Forensic science to investigate the crimes that can be used as evidence for presenting and interpreting any crime and criminal activity. It provides the detailed and comprehensive look at the subjects with the great combination of words and pictures used in the book. Even information has been provided with the help of giant wall chart and CD of the clip art. 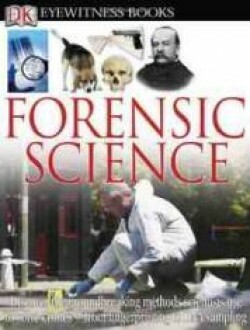 Even this book provides the information of all tools and techniques used by the forensic scientists for solving the crimes. Information has been divided into topics like in pursuit of criminal, The birth of forensics, scoring and recording the scene, handling the evidence and taking fingerprints and analyzing them thoroughly. It provides further assistance in DNA analysis, tracing evidence and noting down the natural clues and how the investigation can be done At the scene of the crime along with knowing A bug’s life, Cause of death, Toxic world, Bones of the matter. How Spitting image, Behavior of the offender, Fire testing, Fire in the laboratory, Crash investigations help the scientists to know about the crime. Later it tells about the big bang, Computer forensics, how every picture tells a story, what are Future forensics, who are Key people for investigation and about the Timeline of forensic firsts.